The toppled headstones were located in Section K of the cemetery. 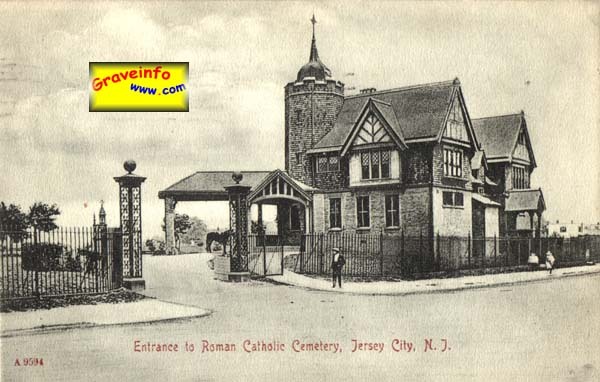 As stated in the above postcard once named Roman Catholic Cemetery now called Holy Name Cemetery. Burials are said to have started in 1863 ? and continue today, however no plots are for sale. 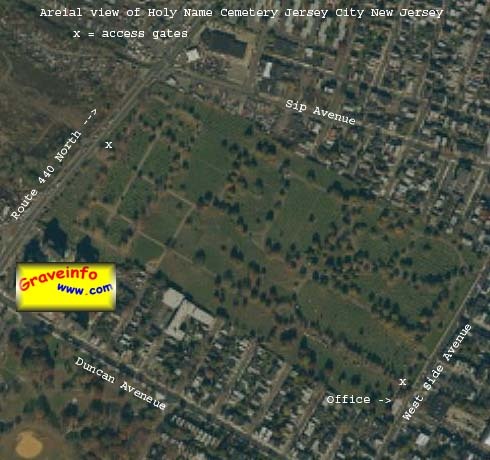 This is a fairly large Catholic cemetery, that is well maintained and easy to get to. The desk personal seem friendly and do not hesitate to help you with a look up of records. If you are unable to visit the cemetery in person due to out of state residence or difficulty in travel, headstone and monument digital photograph services are available for this cemetery through this website. Click on the Services option on the menu above for additional information.